Raddles help keep a warp spread evenly as it is wound onto the warp beam. 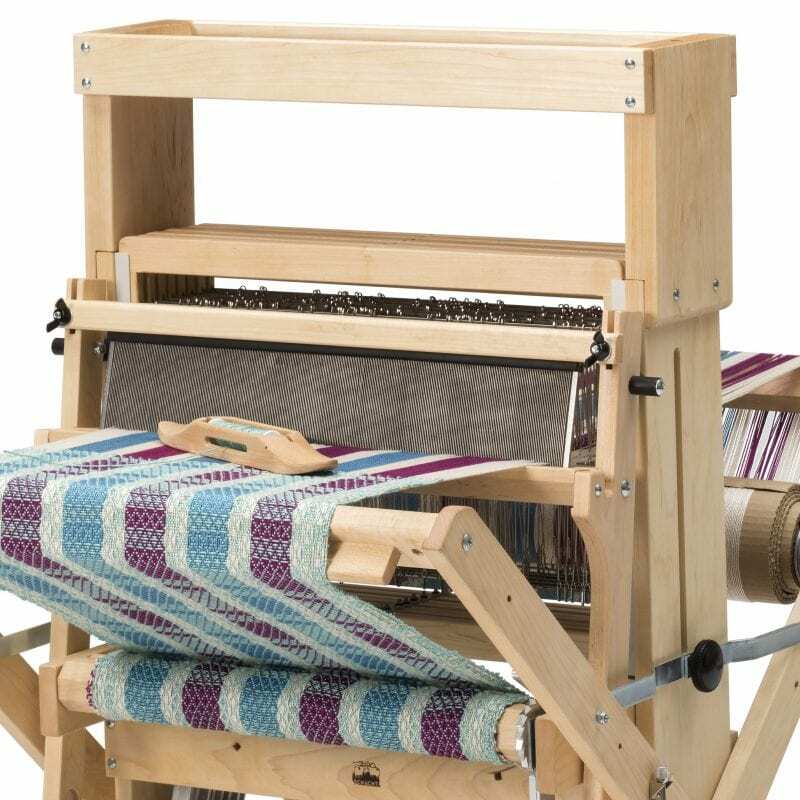 Ours have built-in clamps and can be attached to either the loom’s back beam or the shuttle race of the beater. The raddles come with plated pins inserted every inch and with holes drilled every half inch with enough extra pins included should you prefer half-inch spacing. Our Wolf Pup, Baby Wolf, and Mighty Wolf Raddles come with special mounting brackets for the Wolf loom diagonal beams, as well as clamps for square beams or shuttle races.